Marjorie Brennen Service Details - East Liverpool, Ohio | Dawson Funeral Home, Inc.
Wellsville, Ohio- Janet Brennen, 76, formerly of Nevada Street passed away Saturday, September 15, 2018 at 9:26 p.m. at the East Liverpool City Hospital following a lengthy illness. Born February 24, 1942, she was a daughter of the late Wilbur “Web” and Pearl Williams Thompson. 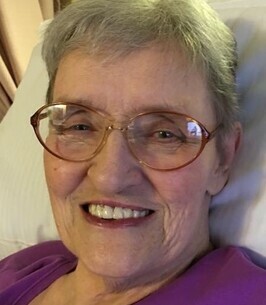 A lifetime area resident, she was a waitress at the former Golden Star Dairyland for many years as well as being employed at the Sears Company in Calcutta. A member of the 1st Church of the Nazarene in East Liverpool, she belonged to the Konoina Sunday School Class. She was a graduate of the Wellsville High School Class of 1960. She was preceded in death by her husband, James E. Brennen, whom she married April 5, 1968, on October 19, 2008. Survivors include her sister, Lois Burke of Wellsville; nieces Erin Burke, Beth Davis and Megan Davis; and nephew Joseph Burke; great niece Cara Davis; and great nephews Zachary Davis, Jacob Davis and Aiden Davis. Besides her parents and her husband, Janet was also preceded in death by her twin sister Martha Ann Thompson; and one brother, Ronald Thompson. Friends may visit the family on Wednesday from 2:00 to 7:00pm at the Dawson Funeral Home in East Liverpool. Pastor Dirk Hall of the Living Well Church will officiate a funeral service at 11:00 a.m. Thursday at the funeral home. Burial will be in Spring Hill Cemetery in Wellsville. To send flowers to the family of Marjorie Janet "Janet" Brennen (Thompson), please visit our Heartfelt Sympathies Store. I am truly sorry for your loss. I called Marjorie my Aunt Janet. She was like an aunt to me. She helped to take care of me when I was a small child. Janet and her husband Jim, both showed me the sweet love of our Lord Jesus. They both truly showed me and my family what it was to be a true, caring Christian. They truly manifested the Love of Christ to us. I know with all of my heart that Aunt Janet is now in the everlasting arms of our heavenly Father. She now has it made. She is forever with her Lord and Savior in glory! Hallelujah! God is good all the time and all the time God is good! Aunt Janet made it! I love her so much and will never ever forget her. I will see you again one day my Aunt Janet. Our loss is God's gain. Janet was such a faithful and loving friend. Actually more than a friend, she was family. Janet was the "church mom" to our son, a guardian angel of our little Chad. We love you Janet. May God bless the family. So sorry for your loss! Janet was a great person and will be missed by many! Prayers for the family and friends.